Next stop-form and function with the Subway Wall Hook by Umbra. 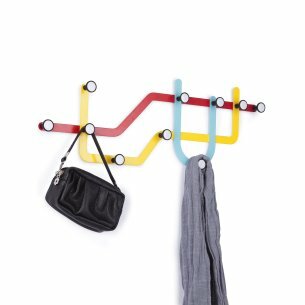 Inspired by public transit maps, these powder coated steel hooks come in black or multicolored and act as wall decor when not in use. Each hook holds up to 5 pounds (2.2 kg) and easily mounts to the wall with the included mounting hardware. 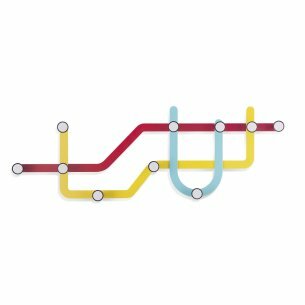 Subway measures 22-3/4-Inch by 1-1/2-Inch by 8-Inch. Designed by Alan Wisniewski for Umbra- original, modern, casual, functional and affordable design for the home.